The country of Budan has passed a law forbidding the Rubits, a minority group, to worship according to their traditions. The Rubits have long been subject to societal and institutional discrimination, but the new law and an increase in violent incidents have led to rising tensions between the Rubits and the Budanese government. Thousands of Rubits have crossed the border into neighboring Gilbia. Unable to access accounts in Budan and often without passports, most of these Rubits are unable to travel further. They are now residing in a large makeshift camp near the Budan-Gilbia border. Sympathetic to the Rubits, the Gilbian government has allowed them to remain and provided some basic assistance, but Gilbia does not have the resources to care for the growing number of people leaving Budan and settling in the camp. It has asked for a meeting with Budan, the United States, the United Nations High Commission for Refugees, and the Association for Refugees and Minorities to discuss the issue. In this hypothetical simulation, students will take on the roles of key stakeholders as they negotiate a diplomatic resolution to the current crisis and the factors that led to it. The exercise will develop skills in critical thinking, collaboration, problem-solving, persuasive communication, and global competence. As of the beginning of 2016, over 65 million people were forcibly displaced, the highest number since World War II. These people include conflict victims, stateless persons, vulnerable migrants, and refugees. According to the United Nations’ latest statistics, there are approximately 22.5 million refugees, over half of whom are under the age of 18. Refugees are people who have fled their home countries to escape persecution. They often face dangerous journeys to safety, and their lives and freedom are at risk. Meanwhile, the flow of refugees places a strain on receiving countries, which may not have the resources to provide assistance alone. While some migrants are fleeing conflict and persecution, others, known as economic migrants, are fleeing poverty, hunger, and lack of opportunity. How can the United States and other global leaders work to protect migrants and prevent future migration crises? 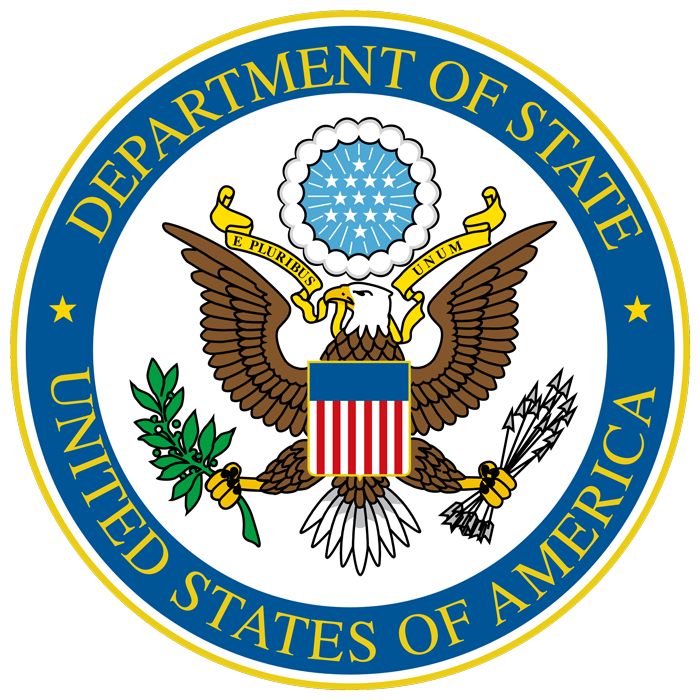 The United States Department of State provides aid and sustainable solutions for refugees, victims of conflict, and stateless people around the world. It works to deliver life-sustaining assistance, build global partnerships, promote best practices in humanitarian response, and ensure that humanitarian principles are thoroughly integrated into U.S. foreign and national security policy. What does U.S. assistance pay for? What impact does that have? In determining the needs in a particular humanitarian crisis, it’s important to conduct an assessment to understand what the reality is on the ground. We do that through our partners, through the international organizations with which we work so that we have a good understanding of what the needs are. 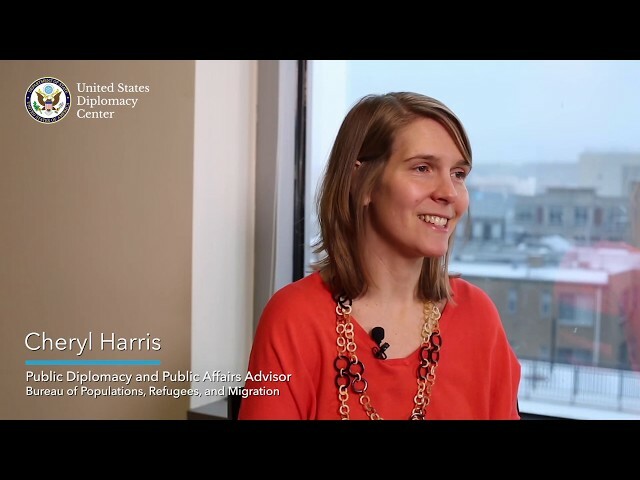 We also have, as I had mentioned previously, a number of embassies around the world and one of the reasons that our bureau is unique in the State Department is that we have refugee coordinators who are located in multiple embassies who are able to work diplomatically on these issues, work with our partners on the ground, and also help us to understand what the realities are so that we can respond as quickly as we can to emergencies and not just respond, but provide what is actually needed to people at the time. Why is it in our interest to help refugees? This simulation really covers a global issue. The issue of forcible displacement is one that we read about every day, we’re seeing every day, and it really is truly global. The U.N. Refugee agency, the UNHCR (United Nations High Commissioner for Refugees), tells us that 68.5 million people have been forced to flee from their homes. That’s either within their own countries or having crossed an international border. Over 50% of all refugees are under the age of 18. So we’re thinking about our future leaders, our future citizens with us in the world as we think about why we are attempting to help and provide assistance. We’re thinking about regional security, our own national security as we think about why it’s important to provide lifesaving assistance to so many people around the world. The United States works in different ways to do this. We do this through our diplomatic efforts, which means that we work through our embassies that are located in multiple countries around the world. 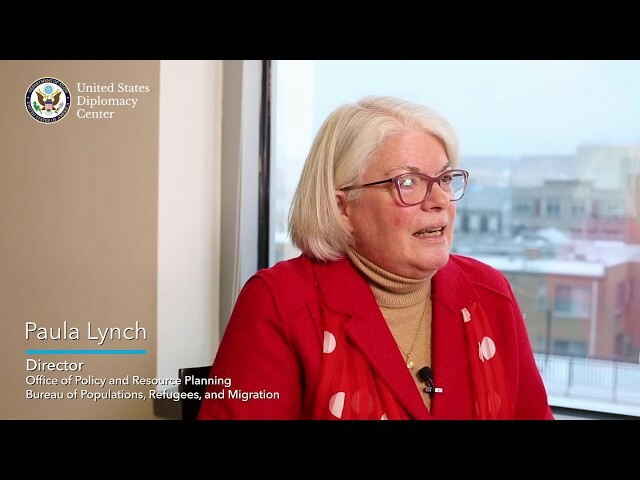 We do this through our humanitarian assistance that comes both from the State Department’s Bureau of Population, Refugees, and Migration and also from the U.S. Agency for International Development. The assistance is truly lifesaving. So when somebody is forced to flee from their homes, our assistance is there in many cases to help and support them. This is to provide basic things like food, water, and shelter, but it’s also to provide essential things like education and livelihoods so that people can be supported where they are, and eventually, when the conditions are safe and stable enough to (be able) to return home, is the first hope that we have for individuals when they are forced to flee from their homes. How realistic is this diplomatic simulation exercise? How does humanitarian assistance and diplomacy help? So the most important thing I want to say off the bat is that our humanitarian assistance is needs-based. That means that we need to be nimble in terms of how and where we provide it. Humanitarian crises can erupt quickly, and we need to be ready to provide support quickly. Through our partners, both through the international organizations through which we work such as the U.N. Refugee Agency, the International Organization for Migration, the International Committee of the Red Cross, and others, we are able to often work very quickly to assist people on the ground including through NGO (Non-Governmental Organizations) partners -- both partners that we work with through the State Department -- and also the NGOs (Non-Governmental Organizations) that are working with these larger international organizations to deliver aid immediately to people who need it. So we work together, both at the State Department, the Bureau of Population, Refugees, and Migration and the International Agency for Development to provide assistance that helps people at the immediate onset of these crises. Food, water, shelter, blankets, everything that you can think of that helps meet somebody’s basic needs. We also think further into the future. We think about education, we think about how to help women and girls in crisis, we think about livelihoods. So in other words, things that are able to provide a family income and help them be self-sufficient so that ultimately they don’t need the international community to continue to support them. That’s the ultimate objective, to have people have dignity and a sustained livelihood, and ultimately, hopefully, be able to return back to the places from which they fled, if and when the situation becomes stable and safe enough for them to do so. Why are forcibly displaced people and refugees particularly vulnerable? 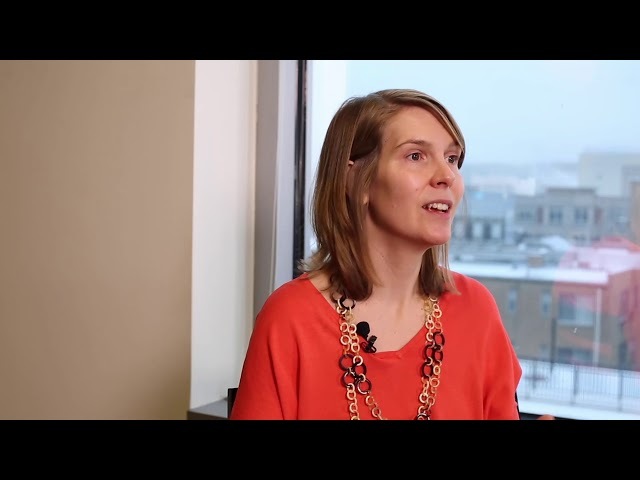 "We can’t take a cookie cutter approach to assistance. We can’t do the same thing in every single response. Populations are different, crises are different, and the needs are different on the ground. That being said, the U.S. government funds a number of research projects; we fund tool development, we fund guidance, we fund the creation of international standards. So we’re constantly learning and constantly documenting what the best practices are on the ground, what the minimum standards are on the ground. So we encourage and fund all of our partners, mandate them to use those standards, and we’re constantly learning, constantly adapting to what’s happening on the ground. And most important for vulnerable populations is to actually listen to what their needs are, listen to what’s happening to them, and to respond accurately, to program around them and to develop a response that is very specific to the situation that they are experiencing." What are the dangers posed to refugees? All displaced populations are at-risk. They are going to be more vulnerable than say, myself, who has a stable home, a stable family, and a stable income. That being said, displaced populations aren’t homogeneous; they’re not the same across the board. So we have to understand who is in our population. For instance, more than 50% of displaced populations around the world are women and girls, and women and girls have very specific needs, need very specific and specialized tailored services that are specific to them, that are different from that of men and boys. So we have to understand who’s in our population, we have to tailor and listen to them and program to them. Other populations that we consider at risk or highly vulnerable, maybe the elderly, maybe unaccompanied minors, LGBTI populations, or people with disabilities. 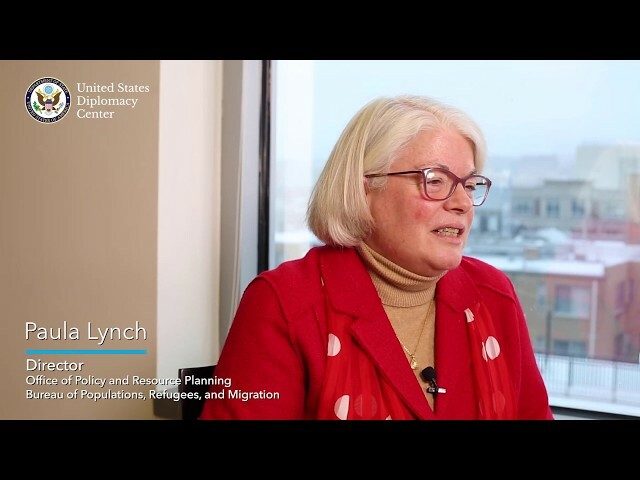 How does the U.S. work with the UN and other international organizations on refugee issues? 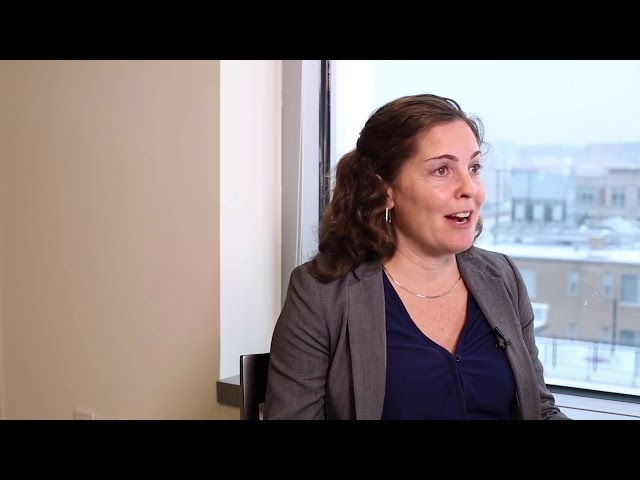 "The international organizations that we work through have been set up multilaterally. That is, we share the responsibility for their programs with other countries. So we’re working with the rest of the world in supporting these international organizations that have been set up since World War II, in light of the Holocaust, to do a better job in the future of providing humanitarian assistance. The main two that we work with are the U.N. High Commissioner for Refugees, UNHCR, and the other one is the International Committee of the Red Cross. Both are established in international law and they have existed since the 40s and 50s—1940s and 50s that is. Our program money is provided to those two organizations in principle to allow them to be prepared when a crisis happens so that they can be a first responder, to have a global presence so that wherever a crisis might happen, they have a presence there, and to be able to carry out their function without us having to tell them “step here, turn there, do this, do that”. Both of them have very good response capacities, and they’ve managed crises that are quick in nature or ones that have last for decades." 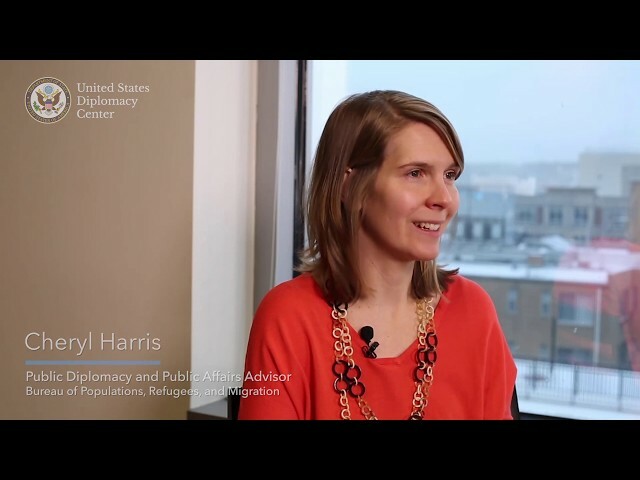 How does the U.S. work with NGOs to resolving refugee and migration issues? "The United States and no other country can expect to do everything itself. It behooves us to partner with other countries that also want to do good humanitarian assistance, and so we work very largely through the large multilateral organizations. However, we also fund non-governmental organizations, and those are NGOs. They may be U.S.-based, or they may be based in another country, or they may be based in the country where the crisis is happening, it depends on the situation. We can fund any of them, we fund many of them. Usually they are ones that are also partnering with the international organizations to carry out programs such as in health or education for the refugees or forcibly displaced persons (IDPs), internally displaced persons, and they are usually partnering with other organizations as well. Most of them are also funded by other donor countries as well, so it’s a large complex process to see who’s going to be working on the ground. Because there is so much difficulty and because many of them work in development programs, usually if a crisis hits, there’s a known set of organizations that are there ready to respond."